Make A Difference (MAD) is an organization that works to provide equitable outcomes for children in shelter homes across 23 cities in India. Each MAD city organizes an annual two-day camp for their children which is called "Dream Camp". This includes a variety of sessions and activities that are aimed towards holistic development of a child. 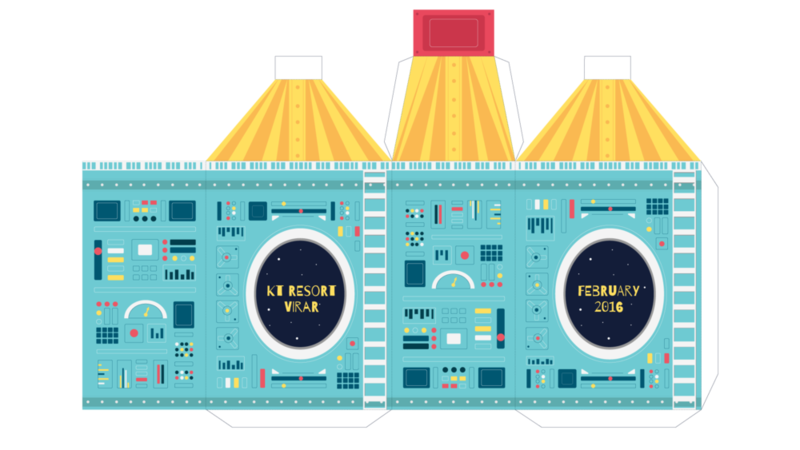 The Dream Camp theme for MAD Mumbai in 2016 was Outer Space. In addition to being part of a team that handled the camp experience, I was involved in designing a variety of collaterals for the event like invitations, badges, flex, and stamps amongst other print materials that were used throughout the camp.